Remove dirt particles prior to cleaning and wiping lenses. This prevents the dirt from scratching your lenses. To enhance the life of the no-fog coating that comes on your goggles, never wipe the inside of goggle lenses when wet. Dab polarized coatings gently. Store your goggles with the lens facing up. Do not place lens down on table or other hard surfaces. This may scratch and damage your lenses. 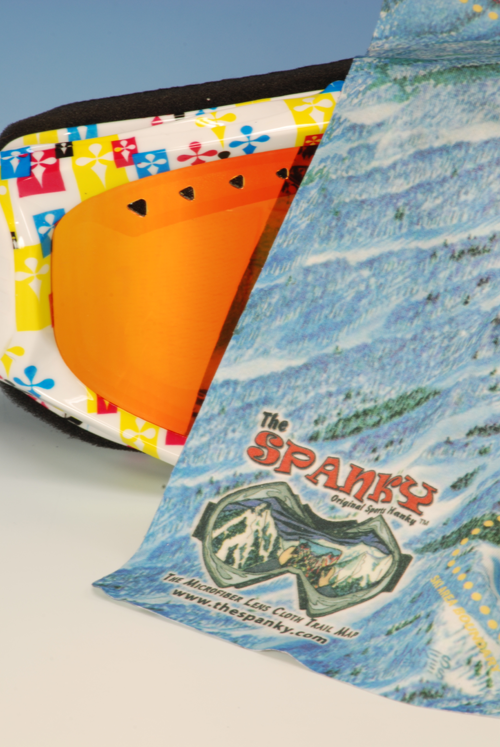 Protect your goggles and sunglass lenses by keeping them wrapped in a Spanky, when not in use. Never use tissues, paper towels, or your clothing to clean your lenses. Never place goggles near direct heat sources, such as heater vents. This may melt or warp your lenses. Always use the Spanky, Original Sports Hanky™, to clean your dirty lenses!